Artistry in Wood is the annual exhibit presented by the Sonoma County Woodworkers Association in concert with the Museums of Sonoma County. Staged every year since 1982, it is recognized as one of the premier fine woodworking shows in North America. 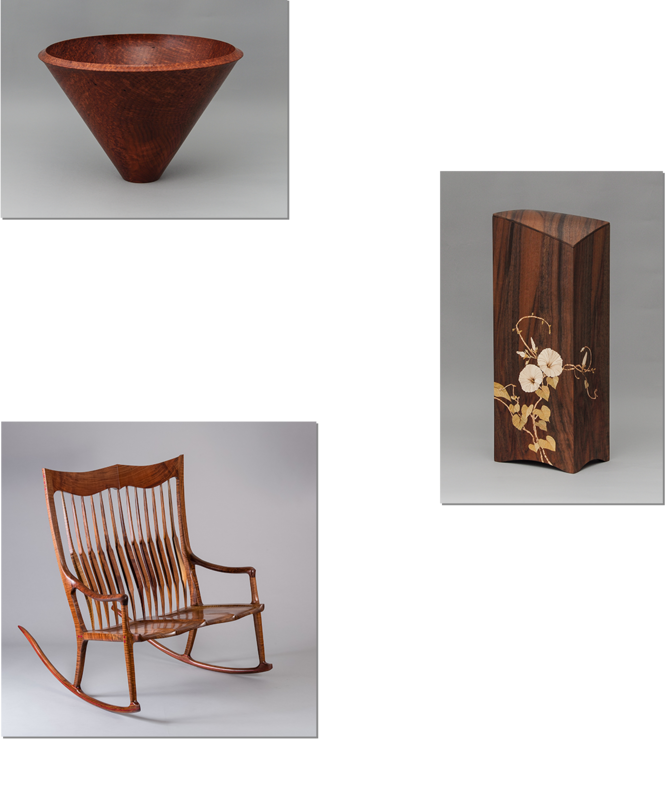 Artistry in Wood features the work of the Association’s members. Pieces accepted for exhibition must pass stringent criteria established by a board of jurors. Those accepted are then judged by a non-member panel of experts that awards prizes to the finest pieces in each of several categories including furniture, turnery and artwork. Awards of Excellence and Best of Show are coveted prizes that reflect the highest quality of artistry and craftsmanship. Many of those award-winning pieces are then featured in prestigious publications such as Fine Woodworking. Artistry in Wood 2018 will run from November 16th, 2018 through January 6th, 2019 at the Museum of Sonoma County in Santa Rosa. Information about the 2017 Show entries can be found in the Wood Forum, starting with the December 2017 Issue. To see a slide show of pieces exhibited at previous Artistry in Wood shows, click here.